It’s been a looooong and busy week. Nic and I are both pleased it’s finally the weekend. I had a hungover cycle into work which was actually glorious as the weather was lovely as I was late enough for the roads to be more quiet (oops). Weird photo today but it’s something I’ve always wanted to capture. 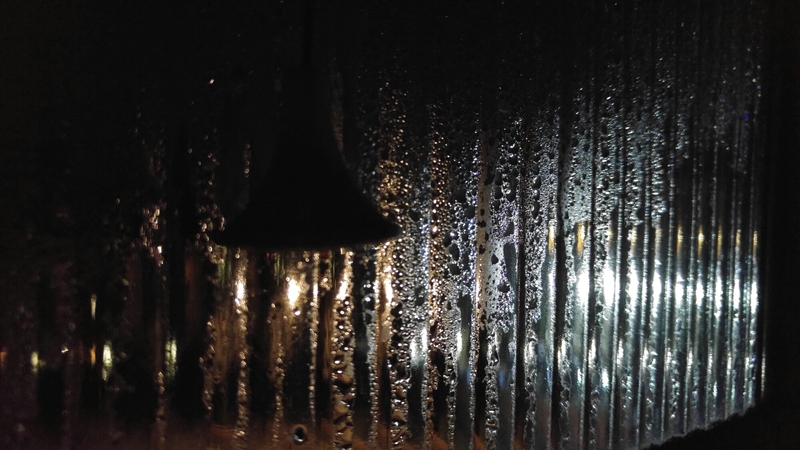 The condensation on our bathroom window with the bright lights outside. It looks eery doesn’t it? Anyhoo, have a great weekend!